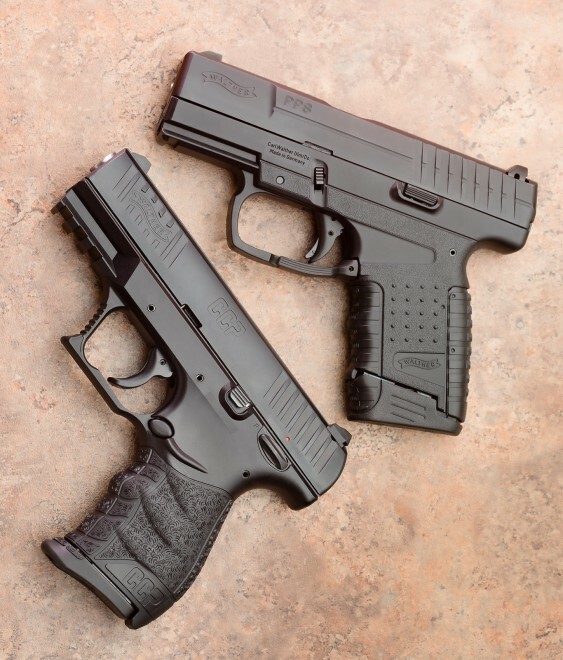 Two very dissimilar Walther pistols for concealed carry. This entry was posted in pistol, weapon and tagged 9x19, AllOutdoor. Bookmark the permalink. I really like my PPS9 … It is so easy to point shoot and is very accurate. The takedown procedure is wierd, since you are supposed to remove the backstrap, which then drops a steel link in the frame to block the firing pin. I have not heard of a case where a dropped gun lost the backstrap, rendering it inoperable, but I drilled and pinned my backstrap, using a small drill bit shank that passes under the link and prevents the backstrap from popping off. You can still field strip the gun but must pull the trigger first. The trigger rubs my finger and makes it sore after a box of ammo, but that is a minor inconvenience. I tend to like unusual designs, and I do like this gun.